Internet, today is my 25th birthday. I can now rent a car, I am officially in my mid-twenties, and there’s a little bit bigger gap in age between myself and our slew of summer interns. Or at least, so it feels. I’ve been looking forward to this birthday for a while, and I am so excited it is finally here. As far as gifts, this has been a great birthday season (as a July birthday I tend to celebrate all. summer. long. It drives Dan insane). In May, Dan surprised me with the most adorable clutch from North Carolina native Holly Aiken. Then, in June I got my birthday tattoo. And then in July I put the money I’ve been squirreling away, plus some birthday money, plus some surprise refund money towards a new iPad! My dear friend Dana and her sweet guy Emerson surprised me with one of her adorably unique plush folkies, Leo. Not to mention the bagel sandwich I treated myself to this morning. Best birthday ever, in my opinion. Tonight should be exciting, too. My coworker Rachael and I applied for a grant a while back to start a series of young adult programs at the Museum, and that series kicks off tonight. We’ll be eating falafel, listening to live music, and the (amazing) artist, Loring Cornish, will be giving tours of his exhibition. All in all, it’s shaping up to be an incredible birthday. Unless it rains or nobody comes, in which case, MORE FALAFEL FOR ME! All in all, this summer so far has been wonderful. Dan and I are loving our jobs, loving our home, loving our garden, loving our life. We’ve been surrounded by friends and family, there hasn’t been a moment that I don’t feel so fortunate and so loved. Toast with me, if you will, to this wonderful summer. P.S. 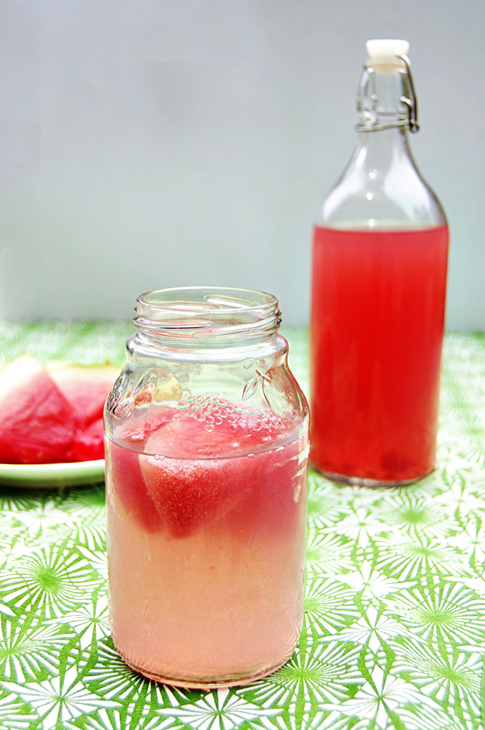 All I’m toasting with are these watermelon vodka tonics. They’re amazing. 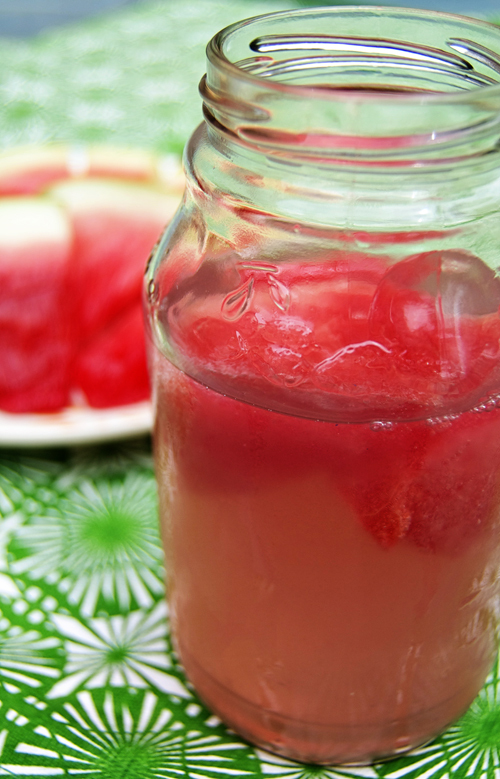 Refreshing, light, delicious, and oh so summery. Slice your watermelon. Place in a large sealed container or multiple zipped plastic bags. 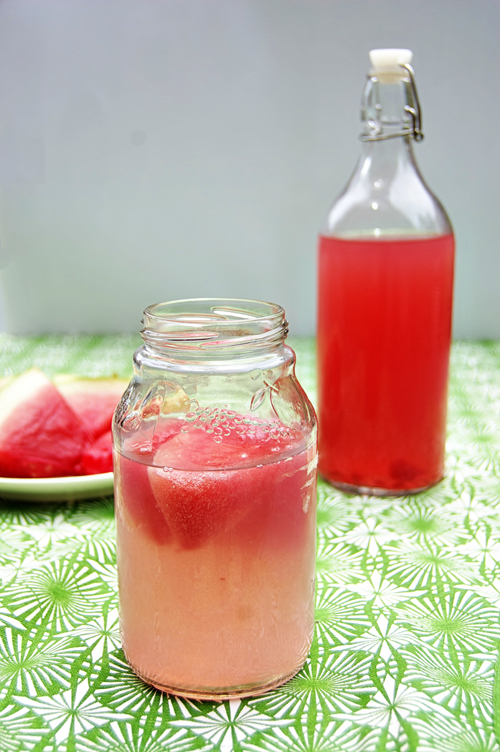 Pour vodka over the watermelon so that it is partially submerged. Let sit 24-48 hours in fridge. 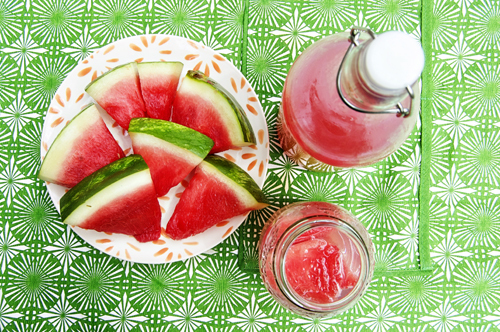 Remove the watermelon, place in a separate container or serve. Pour liquid into an air-tight bottle. For a stronger drink, add more vodka to taste. Chill. 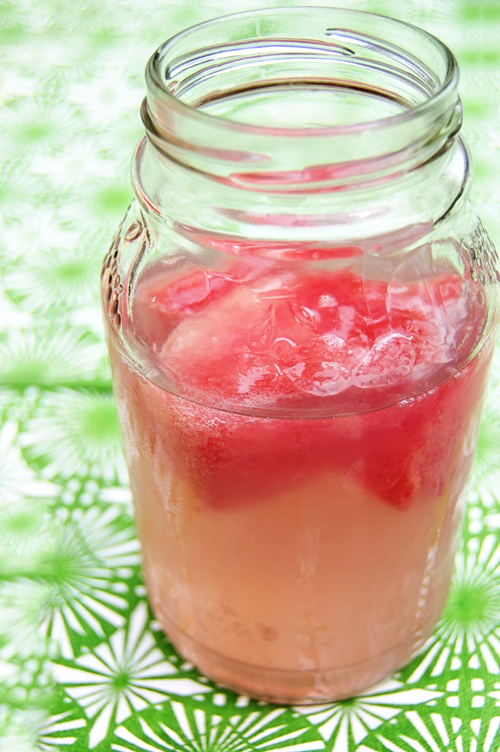 Mix 1 part watermelon vodka to two parts tonic. Serve. This just screams summer! Let’s share a few soon! xoxo on your 25th. wow – that’s kind of fantastic!! Happy belated birthday! And that drink looks and sounds like an incredible summer treat… and definitely like something that I am going to have to try out. You can’t beat watermelon and vodka, in my book! Now THIS is my kind of southern drink! You have such a cute site. So great to meet you at the DC Food Blogger happy hour. I will definitely be following you. Yum! It was great to meet you too Dana! loved your birthday attitude, we always have a birthday week where we can pick meals, activities etc but you have taken it to a whole new level. LOL like the sound of the watermelon vodka as well!! !